New Contemporary Art Glass Sculpture just added to the website, including this One of Kind Glass Sculpture by Bernard Katz. A visual texture of the opaque colored glass is combined with areas of clear transparent glass. A dynamic three-dimensional play between the exterior and interior is brought to life from the surrounding light. 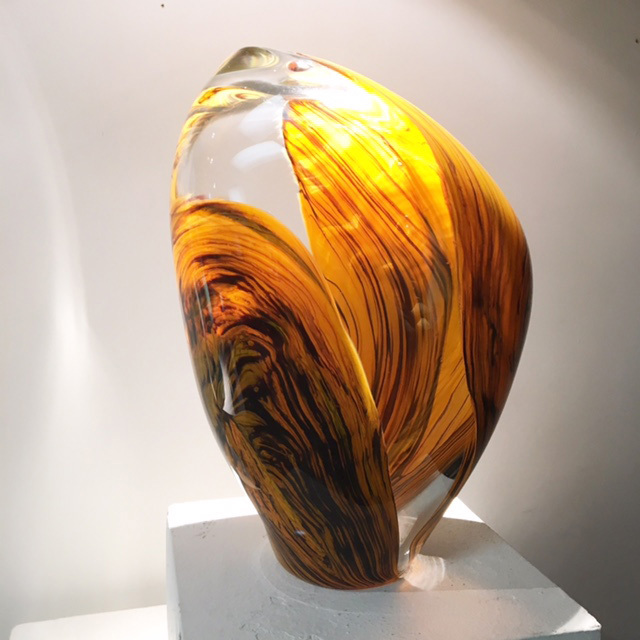 This yellow gold and dark copper and clear glass form is from Bernard’s Melange Series. 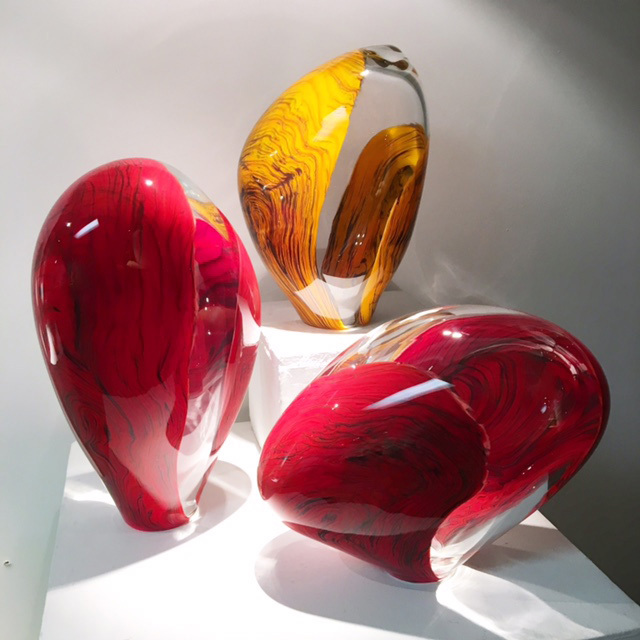 Bernard’s Limited Edition Series of Opaque Colored Art Glass with combined areas of clear transparent glass is available to purchase in Red and Yellow Gold Colors. This sculpture looks quite simple.However, that simplicity of the sculpture is the keypoint of the attraction here. Yes, very well said and thank you for your comment!